Automall is the umbrella company of Quality Auto Sales Ltd. (Nassau), Executive Motors Ltd. and Quality Auto Sales (Freeport) Ltd.
Quality Auto Sales Ltd. was established in 1972 by the Albury brothers. The company specialized in the retail sale of pre-owned vehicles up until 1982 at which time it was appointed as the distributor for Suzuki vehicles. Two years later in 1984 it was appointed the distributor for Hyundai vehicles from South Korea. A sister company, Quality Auto Sales (Freeport) Ltd. was established in Freeport, Grand Bahama in 1987. 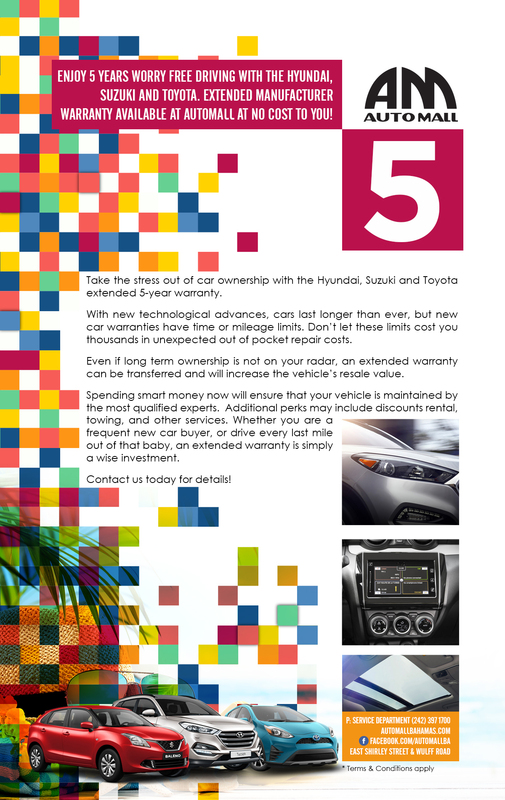 This branch of the company is 50% owned by Quality Auto Sales Ltd in Nassau and is the only authorized dealer for Suzuki, Hyundai, Daihatsu, and Toyota for the Grand Bahama market. In 1989 Executive Motors Ltd. was established by the Albury brothers. Shortly thereafter in 1992, the company became the distributor for Toyota vehicles. It was appointed the distributor for the Daihatsu vehicles in 1997. The Automall group of companies established Omega Motors in November 2011 which consists of the Mini and BMW brands. Our aim at Automall is to be the trailblazer in the automotive industry in the Bahamas. By working together as a team, we can enhance our standards in order to achieve this goal through cooperation, respect, understanding, communication and excellence in providing a progressive and customer-centric organization.